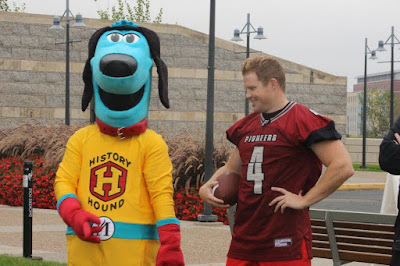 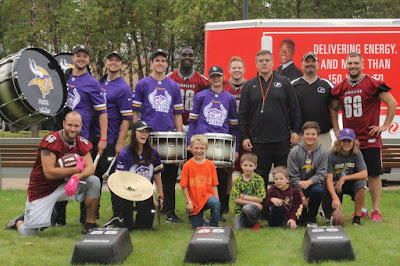 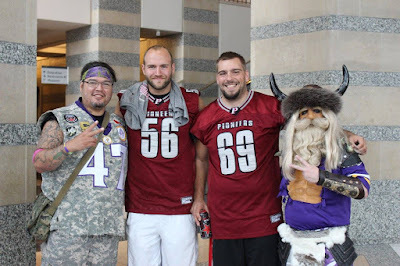 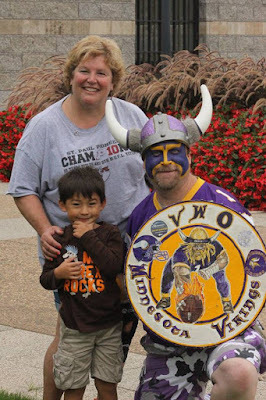 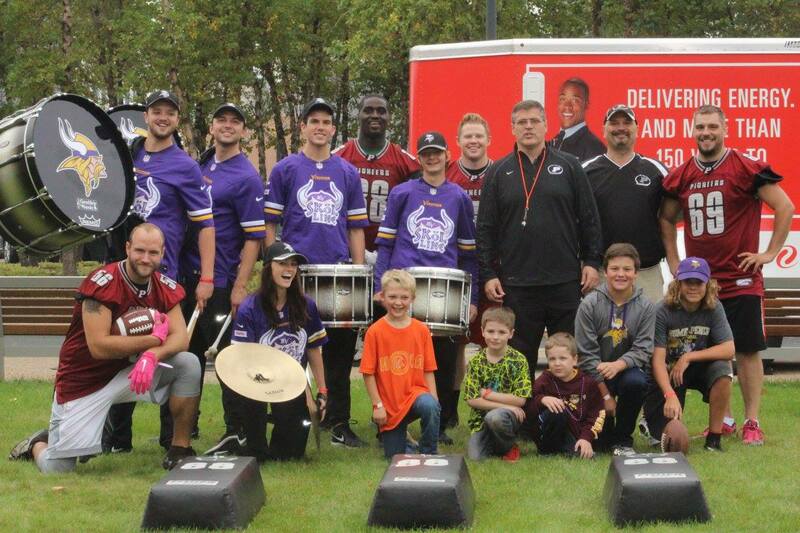 The seven-time NEFL Champion St. Paul Pioneers were invited by the Minnesota History Center to help conduct their Gridiron Glory weekend Sept. 24, as the Pioneers joined Minnesota Vikings greats Mick Tinglehoff, Carl Eller and Paul Krause in celebrating Minnesota's place among football immortality. 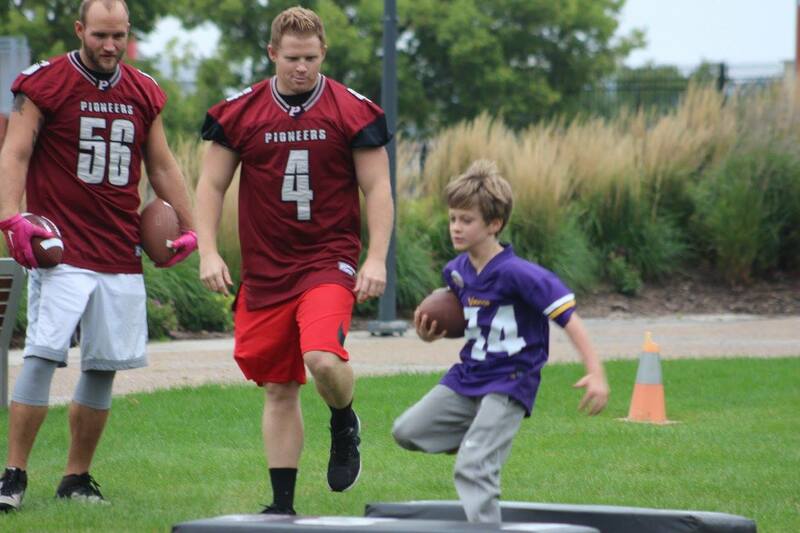 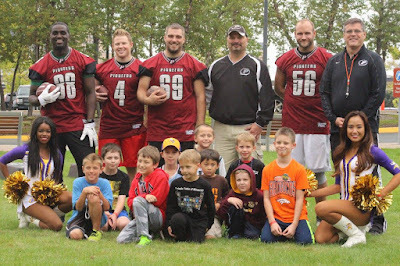 Pioneers players and coaches conducted drills for young people on the History Center lawn on a cool, football-weather day. 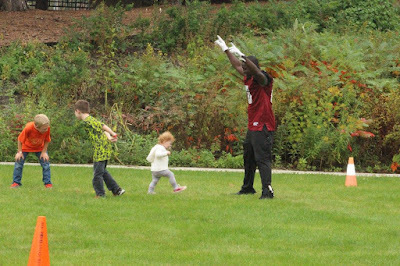 Here are some of Marla Collins' awesome photos of a great day.